Hardware enthusiasts have been watercooling PCs for well over a decade. In the early days before all-in-one coolers were all the rage, custom efforts largely focused on keeping the processor at a reasonable temperature for the purpose of overclocking. Over time, the practice grew to encompass other toasty components like GPUs and motherboard chipsets before eventually expanding to trivial parts like hard drives, system memory and as demonstrated by FSP Group’s latest offering, power supplies. 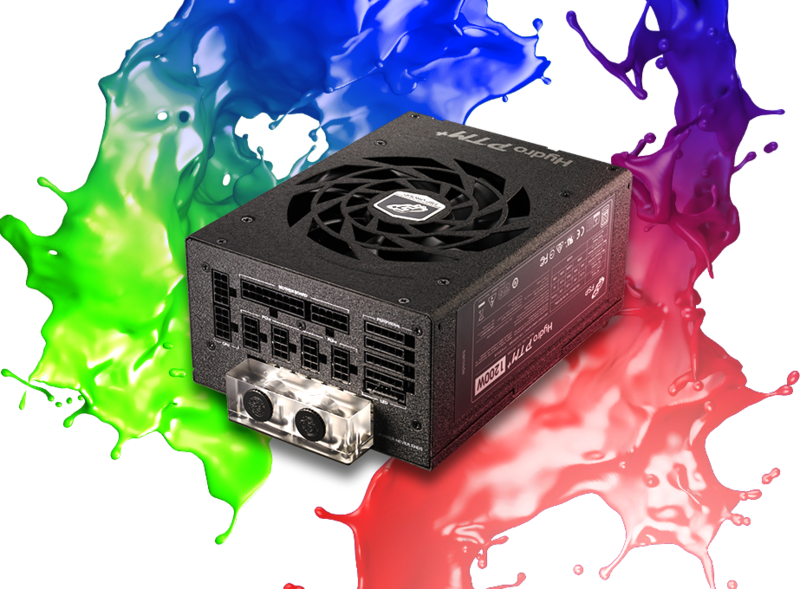 In collaboration with Bitspower, FSP at Computex will showcase a liquid cooled modular power supply it’s calling the Hydro PTM+. Billed as the world's first mass-produced liquid cooled PSU with 80 Plus Platinum certification, the Hydro PTM+ offers a power rating of 1,200 watts when air cooled (that figure jumps up to 1,400 watts when the liquid cooling system is activated). Conversely, when loads are below 50 percent, the unit can operate without the use of a fan for cooling (then again, the fact that a liquid cooled PSU even has a fan kind of defeats the purpose in my book). The unit also features RGB LED lighting, we're told. Computex officially kicks off on May 30 and runs through June 3 in Taipei. FSP’s booth (L0509a) is located on the 4th floor of the Nangang exhibition hall should you want to stop by and have a look in person. Pretty cool but PSU fans aren't loud anyways, (even if this one has a fan anyways). Doing an all liquid no fans build would be neat though. This is a solution in search of a problem. If your power supply is overheating you likely need air conditioning from that sauna you are in instead of a very expensive power supply. I would honestly buy a liquid cooled power supply if it had no fan. It's a cool concept. Literally. I dunno about this. PSU's are historically one of the most reliable components in a rig, don't give off a lot of heat, make next to nothing noise with their fan as is, and this particular one has a fan anyway for when the load is over 50%. So what's the point other than being gimmicky? MonsterZero and Evernessince like this. I agree on the sentiment. At most it is a talking piece or bragging rights. This PSU merely a bragging thing and totally unnecessary but hey... FSP do make quite good PSU's anyway, mainly for OEM's like Corsair etc. Well, it's kind of cool but for that kind of power I'm expecting my laptop will also need a kick-starter and throttle key too! Now, if they were able to interlace it with the CPU cooling, that might be worthy of consideration but with all that water running through the CPU I guess I'm going to have to ask for the submersible system first! How much heat does a Platinum rated PSU even put out that it would ever need more than a 140mm fan spinning at low RPM to keep it cool. This would be the one PSU that exposure to liquid would not void the warranty, at least I certainly hope this is the case. I'm pretty sure FSP buys their PSU guts from SeaSonic. I know that Corsair buys their PSU guts from SeaSonic. Which is why you just buy a SeaSonic PSU and cut out the middleman - no one sees it anyway, so why pay extra for the badge? Manufacturers all buy from different ODM's and they don't seem to stick with just one. Seasonic, FSP, Superflower Enermax etc. all design & make their own PSU's. Most people seem to think because a manufacturer like Corsair, Cooler Master, Thermaltake etc. brand the PSU with their name they make it as well which is not the case. You can't go wrong buying a FSP made PSU, they're really good (or so I'm told) but I'm a Seasonic person myself. In the 20+ years I've dealt with them, very few have have ever had any failures of any sort under normal circumstances. 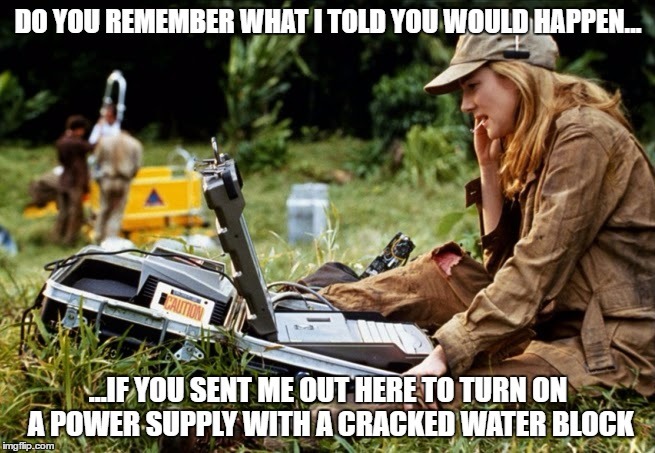 In fact, the only few failures I've ever encountered with them were all due to lightning strikes. That's pretty dump use of tech. It's not even technology at all, it's the completely opposite.